At the core of the University of Notre Dame is an aspiration to become a preeminent research university with a distinctive Catholic mission and an unsurpassed undergraduate education. Those values will find expression in the new Digital Media Center, a component of the Campus Crossroads project. The Digital Media Center (DMC) will be located on the first floor in the project’s east building and will consolidate the University’s digital media resources, programs and offices. A primary stakeholder with an academic perspective is the Office of Digital Learning, led by Chief Academic Digital Officer Elliott Visconsi, who will coordinate the design and production of digital content to foster innovative teaching and learning at Notre Dame. Other digital media departments throughout campus produce a variety of content that supports faculty and helps tell the Notre Dame story. For example, the Office of Information Technologies (OIT) produces digital classroom content for the academy. Mass at the Basilica of the Sacred Heart is broadcast live at 10 a.m. on Sundays on CatholicTV and at 11:45 a.m. on the Campus Ministry website. The multimedia services department in Grace Hall creates video content that in part makes faculty experts available to media around the world. And Fighting Irish Digital Media (FIDM) builds fan loyalty through a virtual connection to athletics. “Notre Dame’s media authoring services have been distributed around campus within many organizations, including the OIT, Hesburgh Libraries, the colleges and schools, FIDM, DeBartolo Performing Arts Center and University Communications’ Multimedia Services,” Visconsi said. The Digital Media Center will provide a common space for digital initiatives and media creation in a 2,000-square-foot studio and production, teaching, learning, research and scholarship facility. 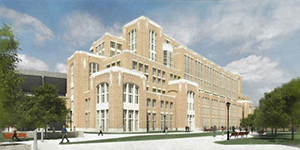 This new facility will be available for use by faculty, students, the OIT, University Communications and athletics and will position Notre Dame as a national leader in a rapidly expanding and important area of higher education, while retaining its distinctive mission. 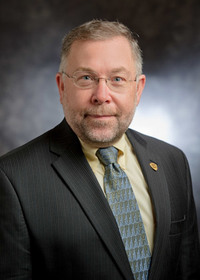 “This is an emerging capability that some other universities have started to build, but ours is a unique combination of faith, learning, research and athletics,” said Ron Kraemer, Notre Dame’s vice president and chief information and digital officer. 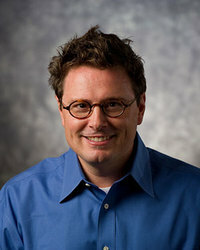 According to Visconsi, those digital strategies include the flipped class model in which instruction combines in-class engagement with short interactive lectures and presentations studied outside of class; co-located live courses via video presence; open online engagement for all learners worldwide via the edX Consortium; custom-built instructional media; interactive problem sets, simulations and games that provide immediate feedback; next-generation digital textbooks that include assessments and other student behavior analytics; augmented reality; and other emerging technologies. A glimpse into the emerging world of digital learning is provided by Notre Dame’s recent decision to offer free and massive open online courses (MOOCs) through the edX Consortium. The edX Consortium was founded by Harvard University and the Massachusetts Institute of Technology in 2012 with the goal of providing free, open and high-quality online education. Notre Dame is the 35th charter member of edX and will offer online courses starting in the spring. The Digital Media Center will provide Notre Dame with a world-class facility that will rival that at many universities, news organizations and corporations attempting to navigate the shoals of digital media. “The Digital Media Center will have a highly instrumented teaching studio; classrooms for all subjects, not just film production; and an academic innovation center for experimental media creation and production and a world-class TV studio, editing, control and sound capabilities,” Kraemer said. Originally published by Notre Dame News at news.nd.edu on September 23, 2014.